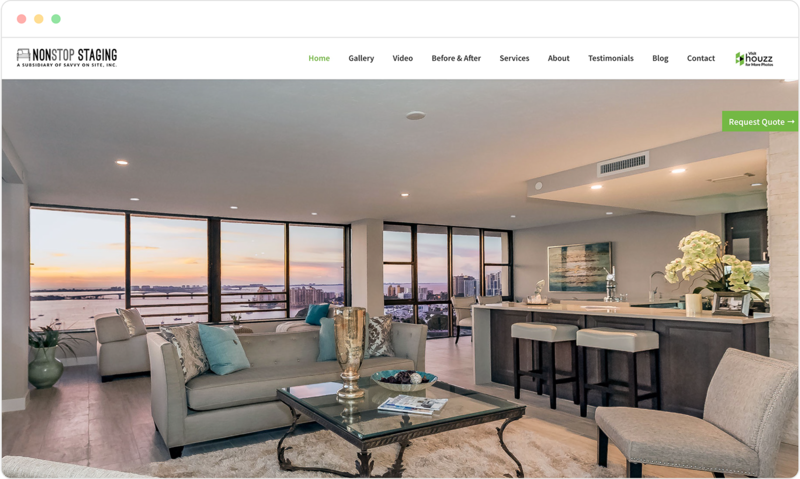 NonStop Staging is a portfolio-type site for real estate staging, built on WordPress. This was a complex design that included a lot of behind-the-scenes elements to make the experience on each page special. The focus was big, beautiful imagery.